The dates of the course are June 3, 10, 17, 24, and July 1, 2019. Attendance is mandatory for all 5 days of the course in order to receive a certificate of completion and continuing education units. Continuing education units will not be issued for individual days of attendance. 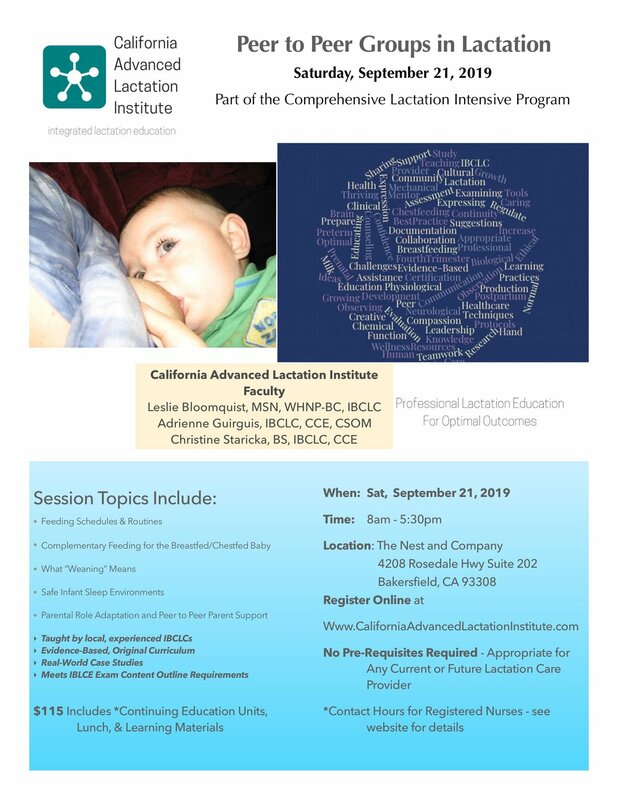 California Advanced Lactation Institute is a Continuing Education Provider approved by the California Board of Registered Nursing, Provider Number 17133. This event is approved for 54 contact hours. Licensee must maintain certificate for a period of Four years. Written cancellations received by midnight PDT on May 20, 2019 will be granted subject to a $50 fee. No refunds will be granted after this date.